Dragon Cave Bay, or Lóng Dòng in Mandarin, is a small fishing harbor that lies about an hour drive outside of Taiwan’s capital city, Taipei, on the northeastern coastline. To many people, Taiwanese or foreign traveler, this small harbor is just another wharf like many that dot the coastline of Taiwan. 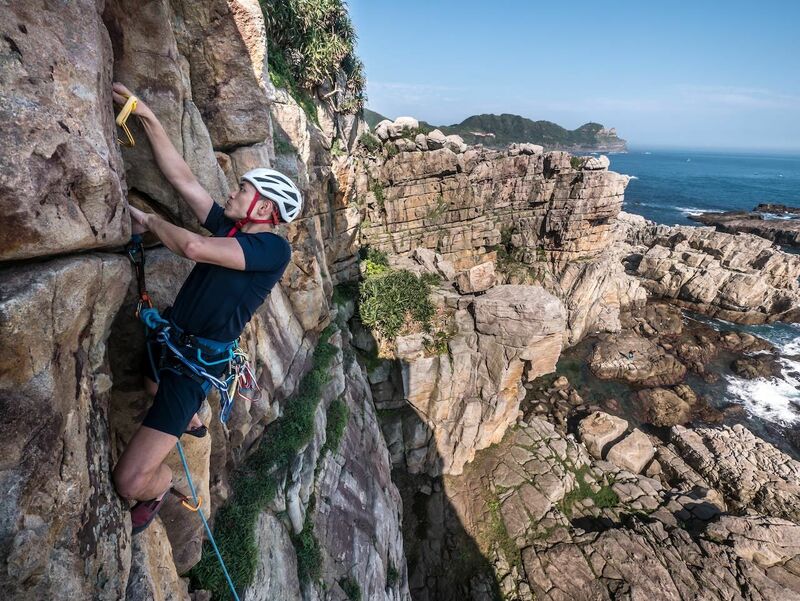 However, to the select few who wander off the main road looking for something unique, Dragon Cave presents the best rock climbing that Taiwan has to offer and is arguably some of the best seaside climbing in all of eastern Asia. 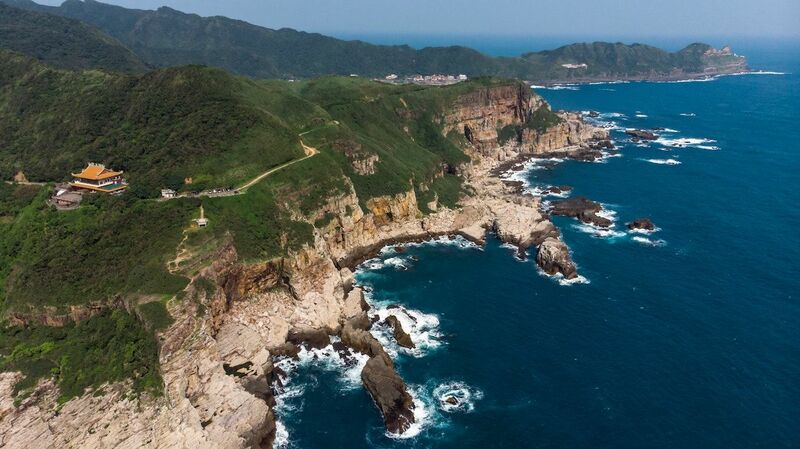 Wander a little further around the corner, scramble over a few ledges, and you’ll encounter a mile of of amphitheater-esque seaside cliffs facing the Pacific Ocean that are unlike any other coastal areas in Taiwan — and few others in Asia. With its golden and reddish hue, this mix of sandstone and quartzite rock is akin to never-ending 20 grit sandpaper that makes little effort to remove soft skin but is a saving grace on which to trust those feet. 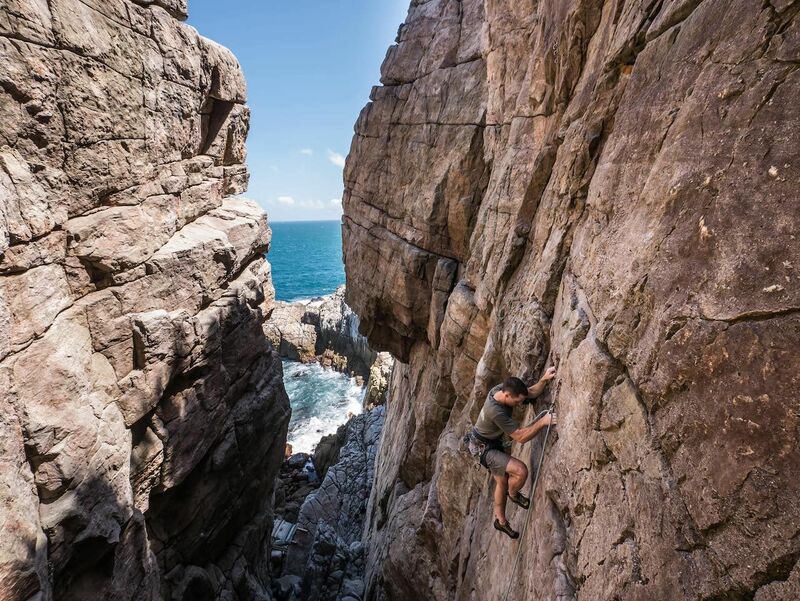 You can choose from nearly 600 climbing routes in Longdong between traditional and sport climbing, and opt for varying difficulties — from climbs as easy as 5.8 in US grading to elite-level 5.13. 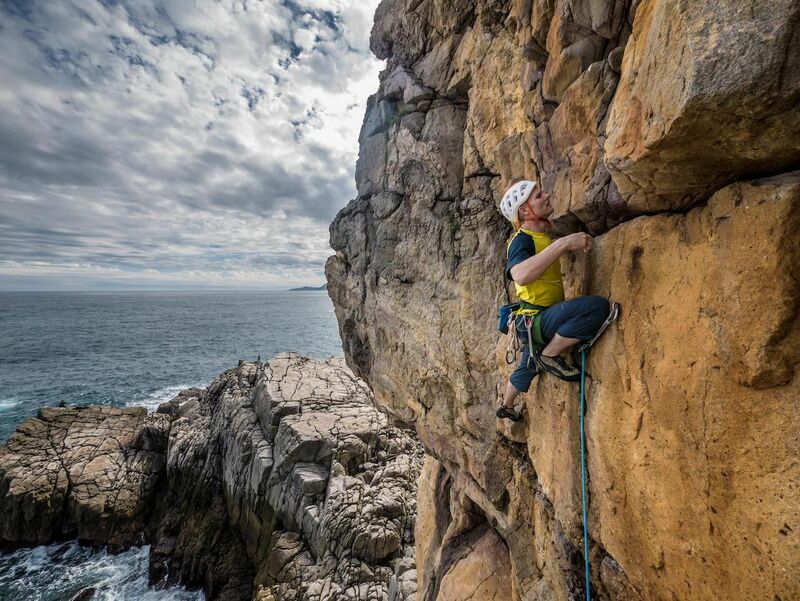 The styles vary depending on the difficulty, from tiny technical sustained climbs to overhead roof hauls and massive splitter cracks that demand you use all of your traditional climbing gear (“trad gear”) for safety. The area with the densest collection of hard sports climbs is, without a doubt, Backdoor, and it’s where I’m happy to spend most of my time. The best traditional climbing routes and some of the best views whilst climbing, in my opinion, are up in The Grand Auditorium. 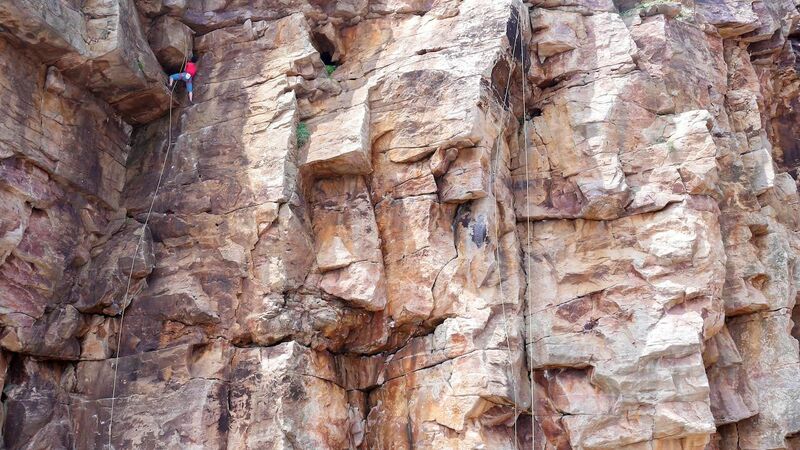 There you can even get in a few multi-pitch climbs. For incredible views of the whole coastline, the area called Music Hall serves up a platform that stretches out into the ocean — providing an incredible vantage point to take in the splendor of the walls. The village of Dragon Cave offers various drinks and snacks but little shelter from the beastly summer sun and other elements, so make sure to bring lunch and sunscreen out with you. 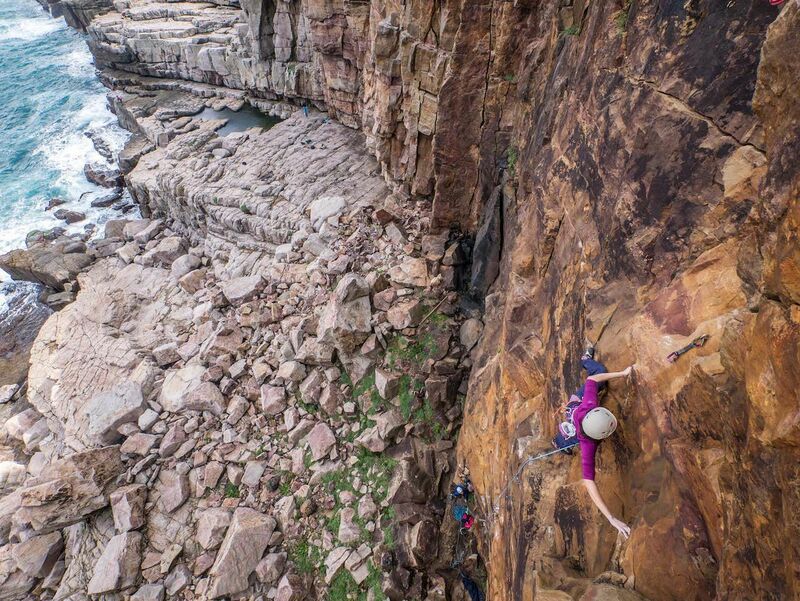 However, if you choose to stay for a weekend or a few days, there is always the climbing hostel called the Crack House. If you’re willing to back track up the coast to the previous town of Bitou, you’ve got The Bivy to crash at. If it’s dinner you’re after then this is Taiwan after all, famous for its street food and Japanese-influenced Chinese cuisine. You will not be disappointed after returning to Taipei after a long day of crushing. 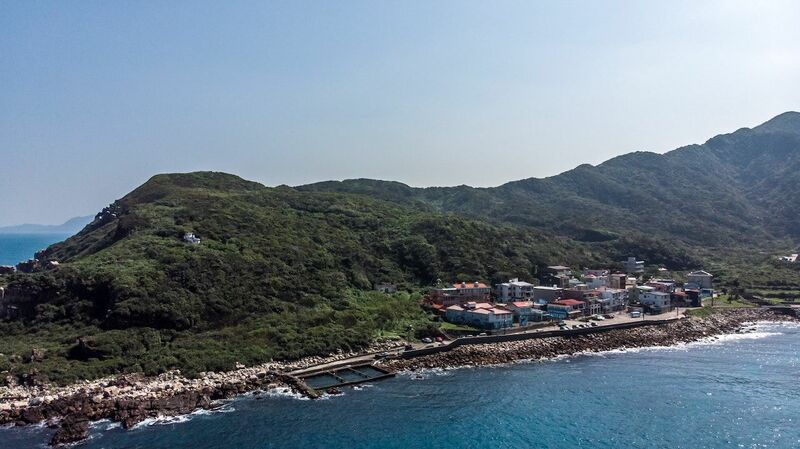 If you’re staying around the Dragon Cave area, then drop down to Aodi, which is one town south, for fantastic seafood, rice, and noodle dishes along with other items you probably can’t name. Buses run daily from Taipei City and drop you off right outside the town on the main road. Walking your way in is a five-minute endeavor. Best times of the year are the fall months between October and December and spring from April to June. Summer months are much better spent in the water instead of battling the heat, and winter months tend to be rainy. 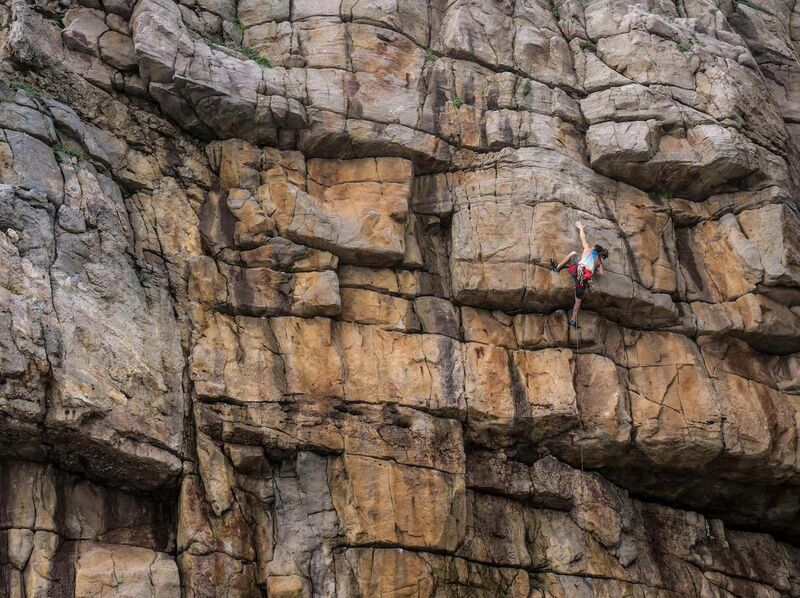 For more detailed information, grab a copy of the Rock Climbing Taiwan guidebook. This book paired with the Guidebook + keeps a pretty good record of the work that’s going on and what bolts and areas are safe to climb on. 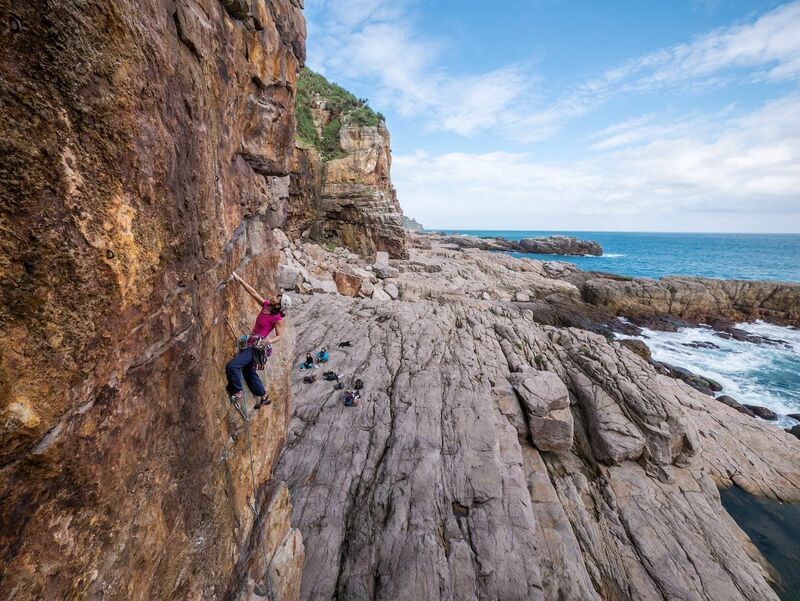 This is a seaside crag and, in turn, is affected by salt water corrosion, so inform yourself of bolt conditions before jumping on a route, and give your gear a rinse once you’ve finished up.